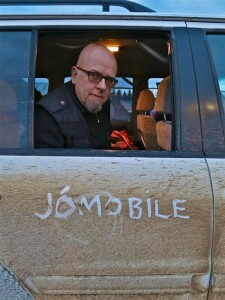 Jóhann Óli Hilmarsson is one of Iceland’s leading ornithologists. He has written numerous research papers, magazine articles and books on birds and his bestselling book is the Icelandic Bird Guide, a photographic field guide that has sold over 50.000 copies. Jóhann Óli is also Iceland’s most experienced bird photographer, a passionate birdwatcher and the chairman of BirdLife Iceland (Fuglavernd). By default he is a member of Iceland’s small but prestigious Club 200 (having seen more than 200 bird species in Iceland) and also regularly travels outside Iceland to enjoy birds. Few, if any, in Iceland have Jóhann’s in-depth knowledge of local birds and where to find them.